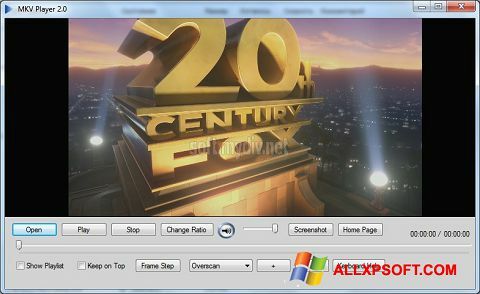 MKV Player for Windows XP - multimedia player for viewing mkv and vob files. The application is able to correctly display the DVD menu, allows you to edit the location of the elements and save them in the ISO archive, contains tools for viewing corrupted data, can update codecs in automatic mode. The program has low system requirements, allows you to adjust the sound quality, work with playlists, includes a subtitle editor and the search function files on local drives. The player supports fragmentation of container streams, correctly reproduces 4K video and links to Internet broadcasting. You can free download MKV Player official latest version for Windows XP in English.